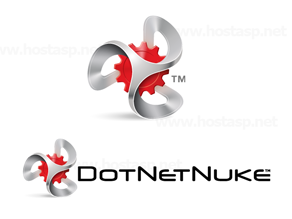 DotNetNuke is the leading open source framework for building websites and web applications on Microsoft ASP.NET. Through an intuitive, menu-driven interface, even non-technical users can use DotNetNuke to easily create powerful websites or extend the functionality and features of existing web applications. DotNetNuke is the world’s most widely adopted framework for building web solutions on the Microsoft stack. If you are new to DotNetNuke Application or you're looking for another web hosting provider, HostASP DotNetNuke Hosting is the easiest and quickest way for you to get started and start using DotNetNuke. Benefits that you acheive using DotNetNuke content management system are greater site consistency, improved site navigation, streamlined authoring process, faster turnaround time for new pages and changes, increased site flexibility, support for decentralised authoring, increased security, reduced duplication of information, greater capacity for growth, and reduced site maintenance costs. DNN could be applied or used for smaller website to largest corporate deployment. Internet or Intranet sites can be developed entirely with built-in DotNetNuke features, or can be augmented through third-party private assembly tools. Well-researched interface makes it easy for users to manage all aspects of projects. Site wizards, help icons, and an intuitive user interface allow universal ease-of-operation. Software can be completely incorporated, modified, and adapted to personal/business use without having to worry about legalities. So no licensing issues are of concern with Dot Net Nuke Hosting. The open source nature of DotNetNuke allows programmers and webmasters to read, redistribute, and modify the source code, essentially evolving the software at a rapid pace. End-user suggestions result in quick improvements and enhancements to the software. Emphasis placed on validation, encryption, bug tracking and potential threats. Well-researched interface makes it easy for users to manage all aspects of their projects. Site wizards, help icons, and an inutuitive user interface allow universal ease-of-operation. With a dedicated core programming team, over 125,000 registered users, and a growing legion of third-party DotNetNuke developers, hosters, and resellers, community support is always close-at-hand.